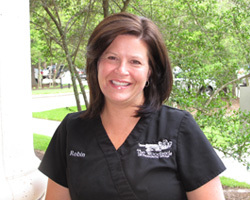 I enjoy helping our patients and their families get started with their orthodontic experience. It’s essential we provide a happy enviornment for our patients and families. Our team and patients are the best! I love being surrounded by people who are making a lasting change in their lives with a new smile. I make sure everything runs smoothly so the team can focus on our patients’ needs. I have a wonderful family and have been blessed with the most loving grandchildren who are my world. My passions are dogs, traveling, and raising awareness for organ donation. 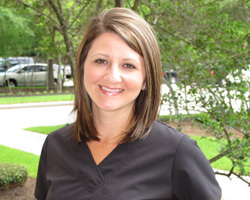 I enjoy working with our patients and getting to know each on a personal level. It’s wonderful to watch a person become more confident and grow to love their smile. I wear many hats in our Woodlands office. My main job is to assist the doctors during orthodontic procedures, while supporting our patient. I also order supplies and manage our back office staff. My high school sweetheart and I have been married for almost 40 years. We have a daughter, who’s a dentist here in The Woodlands. We enjoy time at our lake house in Livingston, TX, with our dachshunds, Walter and Charlie. I love watching each patient’s transformation. As they see the changes in their smile, they become much happier and confident! Those finished, radiant, healthy smiles are one in a million and I love them all. I work chairside at The Woodlands office, supporting the doctor during procedures. At the same time, I’m talking with our patient about what we’re doing. I’m happily married and have two kids. I love spending time outdoors, by the pool or just hanging out in the yard. My favorite pastime is watching my son play football. 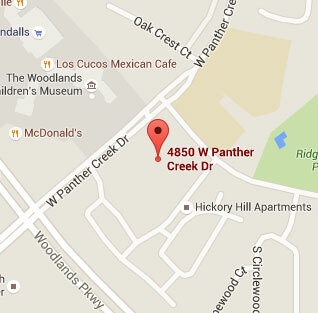 I enjoy working with our patients at The Woodlands office. Seeing a person finish treatment and being thrilled with their result never gets old! Those amazing, beautiful smiles make me smile. I assist the doctor with placing braces, appliances, and adjustments. I also take X-rays and impressions and sterilize instruments. I have three great kids and a wonderful husband. When I’m not in the office, I enjoy working out, playing with my dogs, and being outdoors. I love working in a positive and upbeat environment with a doctor and a team who are like family to me. Having the ability to help others who require orthodontic treatment and giving patients the smile they have always dreamed of is what I enjoy the most. Taking braces off is my favorite appointments! When I am not chair side with Dr. Mardaga I am doing lab work, sterilizing instruments, taking x-rays and helping out at the front desk. Working for Dr. Mardaga has allowed me to learn something new everyday. He is a great teacher, whether it is orthodontics or an interesting fact of the day! Outside of work I love taking my dog on walks, going to the movies, traveling, baking, doing crafts and spending time with my family. I love the look on a patient’s face when they first see their finished smile. That look of pure happiness lets me know we did a great job! 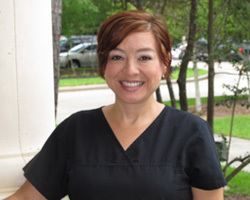 I assist Dr. Mardaga with patients during their routine orthodontic visits. I also take records, including X-rays and molds for diagnostics. I also help with front office duties when needed. I’m a proud mother of three boys and one girl. We love being outdoors: hunting, fishing, camping, and four-wheeling. On rainy days, we watch movies and sing and dance around the house. Mardaga Orthodontics is a family-friendly office and I love being part of the team. I handle all front office duties and assist patient and parents during their visit. I love seeing how happy each patient is on the day they get their braces off and they see their final result. I am married and have two boxer puppies. My hobbies include biking, traveling, organizing, and spending time with family, friends. I make sure to enjoy all life offers and love a good challenge. When I was asked to join Mardaga Orthodontics, I did not realize how fun it would be to be a part of a such a great team. Working with helpful, positive staff is something that is important to me. Seeing old familar faces and meeting new ones has been wonderful also. I love getting to know the families and seeing them leave our office with a smile. I have lived in The Woodlands for over 23 years and have loved watching my children grow up in this wonderful community. I love everything from traveling, dancing, going to the movies and seeing my children happy. 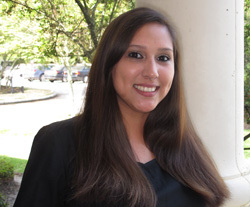 I am the Insurance Coordinator with the Mardaga Orthodontic team, and assist our patients with insurance claims and questions. 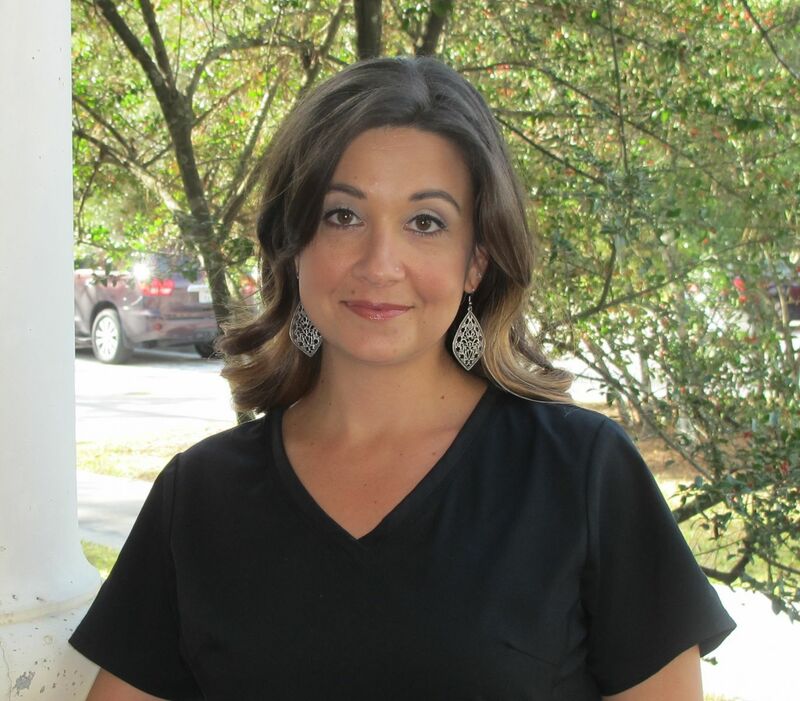 I am new to The Woodlands area, and excited to be a part of such a warm and welcoming team, as well as having the opportunity to work with families within the community! I am married with two children and two dogs! We enjoy being outdoors, going to the movies, cooking, and visiting with family and friends.